WATCH OUT: Ticks Are Already a Big Problem and It's Not Even Spring - Sit. Stay. Forever. Vets have seen tons of parasites on dogs, and it's only the beginning of March. Yet another nor'easter will slam the country this week, but some of nature's most annoying pests aren't paying any attention to the weather reports. Disease-carrying ticks have already woken up for the season — or never went dormant at all — posing a risk to any potential host they find. Multiple veterinary hospitals in Michigan have reported seeing the parasites on dogs since mid-February, with their numbers only increasing, according to WWMT. Vets in Virginia have experienced a similar upswing. "Ten years ago it would have been [hard to find ticks in winter], but the tick population here is changing," Dr. David Bruce told WSLS 10. He claims that the brown dog tick and lone star tick once predominantly appeared on his canine patients. Those varieties usually remain inactive during the colder months, according to Terminix. The deer tick or black-legged tick is found mostly in the East, South, and northern Midwest regions. Now, it's the deer tick (also called the black-legged tick) that shows up in his office most often. This species is the most prevalent in the spring, summer, and fall, but the Centers for Disease Control state that the adults may search for a host any time the temperature gets above freezing. That means you should always be on the lookout for any little hitchhikers, whether it's on your dog or yourself. The gross bloodsuckers can carry Lyme disease and other illnesses, and their populations have skyrocketed in the past few years. A 2016 study found deer ticks and the rarer western black-legged ticks in half of all U.S. counties. 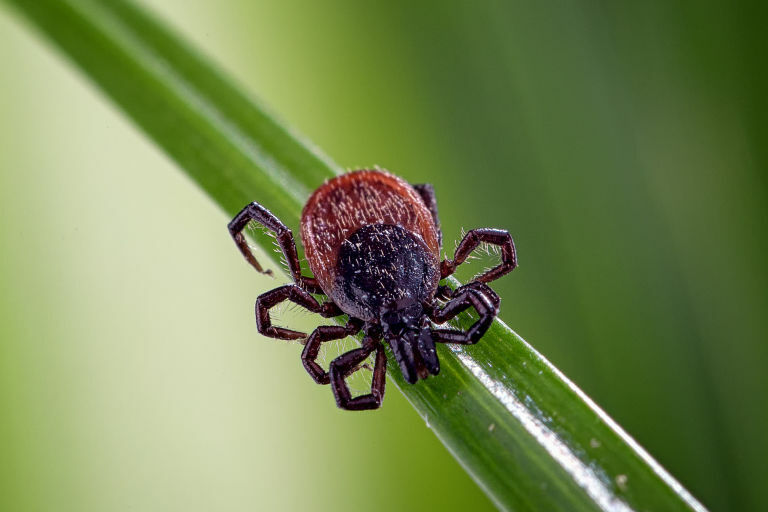 "Since the late 1990s, the number of counties in the northeastern United States that are considered high-risk for Lyme disease has increased by more than 320%,"said study author Rebecca Eisen. "The tick is now established in areas where it was absent 20 years ago." Untreated Lyme disease can lead to arthritis, shooting pains, and heart palpitations. The first warning sign is usually the classic bull's-eye rash, but it's always best to prevent bites in the first place. Talk to your vet about using a preventative product on your dog, and wear insect repellent and long clothing when you're outdoors, especially in wooded areas. Always check children, pets, and yourself for ticks shortly after coming inside. Remove any you find with fine-tipped tweezers, not home remedies like nail polish, petroleum jelly, or peppermint oil, which can increase the likelihood of contracting tickborne illnesses. Removing the parasite ASAP will reduce your risk. Blacklegged ticks need to stay attached for at least 24 hours before transmitting Lyme disease, according to the CDC. 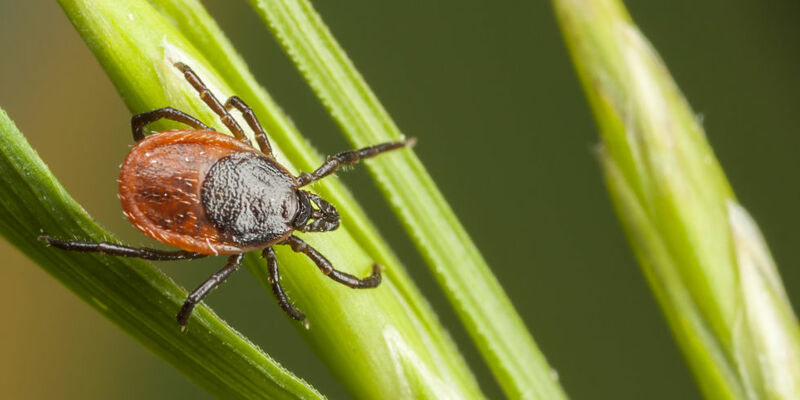 If you develop a rash or fever within of weeks of a tick bite, seek medical attention right away. For something so teeny-tiny, these ticks can sure cause a lot of damage.